After I last wrote about the upcoming NeoTicker version 4.3, one of our programmers who handle the overall user interface coding had accepted an offer to work for a client of our firm. We are very happy for him as working for a hedge fund has always been what he wanted to do. The issue was that we were left with no one to complete the work he was responsible for. Adding to that, our top secret project on NeoTicker version 5 has so many UI changes it will be very difficult to keep it as a separate project when a team member is missing. After series of meetings and discussions with our programming team, we have decided to change our software versioning model from major version “jumping”, to a model that better reflect our vision of frequent updates with new features and bug fixes. 1. Someone purchased our product version X.Y will be entitled to free upgrade all the way up to (X + 1). (Y – 1). 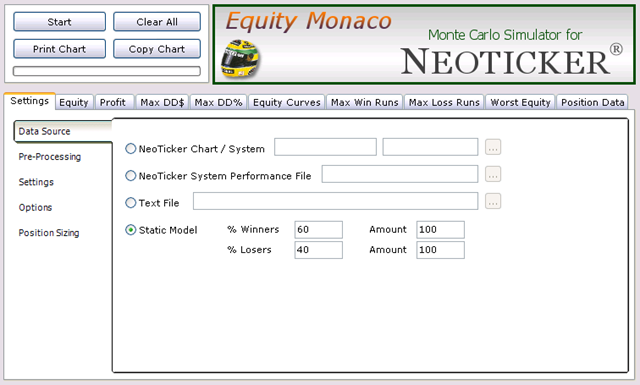 For example, someone who purchased NeoTicker 4.3, will be entitled to free upgrade up to version 5.2. 2. Within 1 year of purchase or paid upgrade, the license is entitled to free upgrade on all upgrades released during the time period. 3. 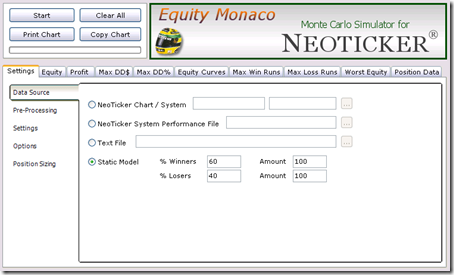 Those who purchased permanent licenses of NeoTicker and other products on or after June 1, 2010 will be included in this revised upgrade policy. The change in the versioning model enables us to add new features to our products without worrying about classification of features designated for major release and/or minor releases. I now have the flexibility to merge the planned (and implemented) new features for NeoTicker 5 into our release schedule whenever I see fit. Overall, it turns out to be a good change for everyone within our company and I am sure many of you are happy to see that new features will be added more quickly. Our coding schedule is back on track. Programmers are less stressful and more productive as we streamlined the feature planning and release schedule. Will keep you all posted on our progress. You will be able to find daily update on our breadth charts, etc. at its new home. 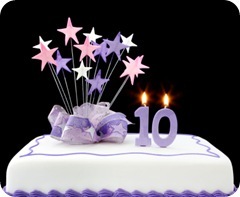 Celebrating 10 Years of Technical Excellence! Entering its 10th anniversary, NeoTicker continues to revolutionize the trading world with its superior technologies and innovations. To say thank you to our clients for their loyal support, we are offering our clients a one time special offer of 50% discount on selected products off their list prices. You can find more information about the sale here. We figured out something very odds with Windows 7 64-bit. It seems like someone from Microsoft has made a mistake with their coding in handling OCX controls (like the ones from MB Trading). That causes the instability issue with the latest MB Order Server. We thought it was MB – our bad, it’s not their fault. We are now focusing on a bypass to workaround this issue. DaytradingBias.com open for public access today! We’ve completed our in-house run of the site and is now opening the site for public access today. SVE Inverse Fisher RSI indicator featured in Oct 2010 issue of TASC magazine written by Sylvain Vervoort, formula language version of the indicator is available for download at the following link. This is a formula language indicator feature in the article Getting Clear with Short Term Swing by Ron Black. Indicator is available for download at the following link, download and use indicator manager to install it.